Once every few weeks, it can feel rejuvenating to eat the same thing for a day. This practice gives the digestive system a chance to re-calibrate and rest. Since a large part of our stress response is triggered by the enteric nervous system in our gut. this day-long cleanse helps to reduce anxiety and depression as well. In traditional nutritional philosophies such as Ayurveda from India, this concept of periodic meal simplification is common and often takes the form if eating kitchari, a simple meal made up of rice, lentils, spices and vegetables. This spring, try eating this cleansing and nourishing probiotic soup for three meals a day on a day off. You will move forward feeling refreshed, rejuvenated, and energized. In a large soup pot, heat the olive oil over low heat. Add the leeks and celery. Cook, covered, until these are soft and translucent, about 10 minutes. Add zucchini and sauté for 5 more minutes. Add the chard and artichoke hearts. Add the water and kombu and bring to a boil. Reduce the heat and simmer, uncovered, for 15 minutes. Add the basil. Remove from heat and purée with an immersion blender. Enjoy! Feel free to eat as much as you want during your one-day cleanse. Today marks the last full moon before March 21st, the Spring Equinox. The earth is rife with purpose, ready to push up the myriad of seeds that will green our landscape for the season to come. Similarly, our bodies are ready to eat more green foods and move more to harmonize with the coming change of season. Mornings and evenings may feel chilly, but the sun shines longer each day and brings the warmth that heralds this season of renewal. In my native Italy, the word for spring is 'primavera', meaning 'first truth'. May you find time to slow down as you eat, listen to your body's messages for nourishment, and savor the green flavors of the coming spring. 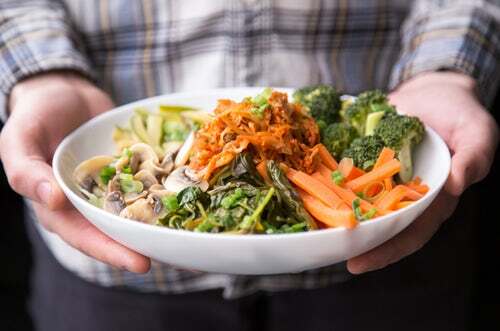 Here are some recipes to inspire your dietary transition from winter to spring.and to support the liver's natural renewal process. In a small pot, boil beets for approximately 20 minutes or until tender. Once done, drain them and set aside to cool. In a small sauté pan, over low-medium heat sauté shallots in olive oil and add spices and salt. Once shallots look caramelized, set aside. In a blender, combine beets, shallots, vinegar, and water. Blend until smooth. Use as a topping for millet bread. 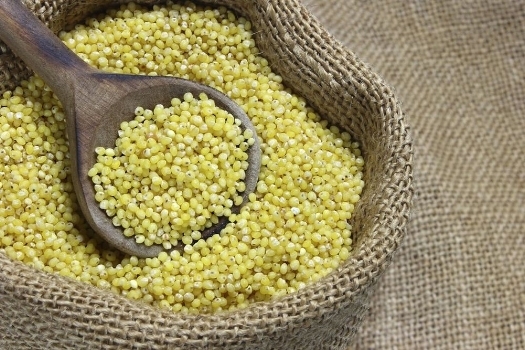 Place millet in a cooking pot with water. Bring to a boil, then reduce to low heat. Simmer until millet begins to thicken (about 20 minutes). Stir well, as though cooking oatmeal. Add all the other ingredients and stir well. Cook on low heat and keep stirring until millet thickens. Preheat oven to 375 degrees. Pour millet into a baking dish and flatten it evenly. Bake it for 15 minutes. Slice and eat as you would polenta. Let the millet cool before slicing it. Add toppings! If spread out in a thin layer on a baking sheet, this also makes an excellent pizza crust. Click this link for more spring recipes. I am honored to participate in the harvest and cooking of fresh, organic turmeric and ginger grown in a Vermont greenhouse. May the fruits of the harvest inspire us to find balance during this fall equinox time. Equal day and equal night call for a pause, a moment to revel in what surrounds us, appreciate it for what it is, and reflect on what's working in our lives and what we could let go. Let these traditional Indian recipes inspire you to support your digestive health and immunity with turmeric and ginger. I have learned how to prepare these dishes from Dr. Vasant Lad, director of the Ayurvedic Institutes in India and New Mexico. Ginger: warming, anti-inflammatory, soothes stomach cramps, reduces flatulence, alleviates common cold and flu symptoms. Clinical studies show that ginger consumption decreases arthritis pain and protects the liver from damage. 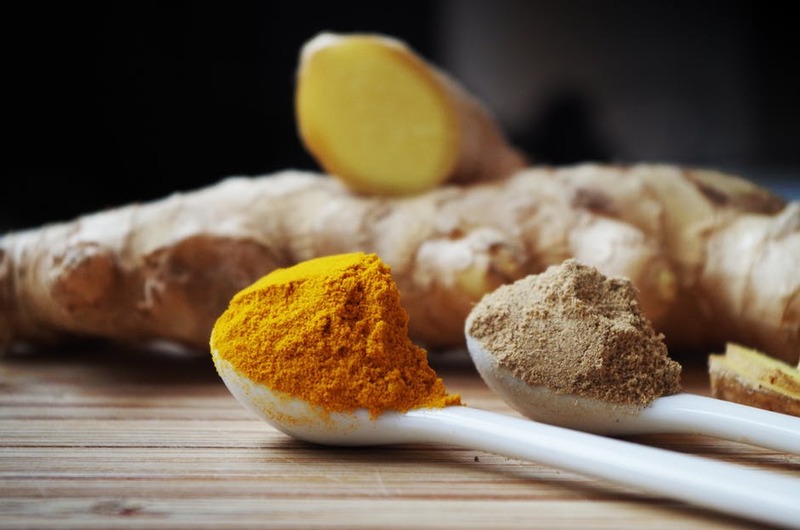 Turmeric: anti-cancer and anti-inflammatory, turmeric contains anti-inflammatory curcumin, which helps to heal GI diseases such irritable bowel syndrome. It prevents cancer cells from growing new blood vessels to feed themselves and induces the death of existing cancer cells. It also breaks up accumulated amyloid plaque in the brain that’s related to the onset of Alzheimer’s disease. Rajma means red kidney beans in Hindi. This is an adaptation of a traditional Punjabi recipe. These rich and hearty legumes are high in iron and protein. They support gut health with their fiber content. *If you do not have a pressure cooker, just soak the beans overnight and boil in water until tender, about 45 minutes. Wash dried rajma under running cold water till water runs clear. Soak them in enough water for at least 8 hours or overnight. Pressure cooking beans: discard the soaking water and add rajma to the pressure cooker with 3 ½ cups of fresh water. Close the lid and put the top on. Cook on high for 10 minutes then reduce the heat to low and cook for another 10 minutes. Let the pressure go down by itself and then open the cover. After pressure cooking the rajma, they should be soft and some of them will open up. Discard any leftover water from pressure cooking. To prepare the rajma, heat the oil in a pan on medium heat. Once hot, add bay leaf and saute for 30 seconds. Add chopped onions and salt. Cook the onions till they are light brown in color, about 5 minutes. Saute ginger, turmeric and garlic for a minute. Add tomato. Mix well and let it cook till all the moisture is evaporated and oil starts to leave the sides of the pan. do stir in between to make sure that it is not sticking to the pan. Add all spice powders. Mix well and cook for 10 minutes. Add the beans, cook for 10 more minutes, and enjoy over rice. In Hindi, aloo means potatoes and saag means spinach. This classic side dish can also be made with kale or collard greens. Heat the oil in a large pan. Add the onion, garlic and ginger, and fry for about 3 minutes. Stir in the potatoes and spices. Continue cooking and stirring for 5 minutes more. Add a splash of water, cover, and cook for 10 minutes. Check the potatoes are ready by spearing with the point of a knife, and if they are, add the spinach and let it wilt into the pan. Take off the heat and serve with grilled chicken or cooked beans and rice. Kitchari means mixture, usually of two grains. This is one kitchari recipe that is particularly nourishing and easy to digest. I like to prepare the rice and lentils separately and mix them in my bowl. Rinse 1 cup long grain brown rice. Bring to a boil with 2 cups water. Reduce heat to simmer and cook, with lid askew, for 30 minutes. When seeds start popping, turn off heat and slowly pour mixture into cooking rice. You can add zucchini, summer squash, peas, cauliflower, broccoli or asparagus to the rice. For the lentil dahl, rinse 2 cups yellow split lentils. Drain and bring to a boil with 5 cups water. Reduce heat to medium and cook, uncovered, for 30 minutes, stirring occasionally. Skim off any white foam that develops and discard it. Add vegetables such as beets, carrots, sweet potatoes, collards, kale and spinach to the skillet. Add 1 cup water, cover, and simmer on low heat for 15 minutes. Mix into the lentils, stir, and enjoy! Summer is drenching Vermont in rain to the point of flooding. Farmers are doing everything possible to secure crops and we are watching puddles turn into pools in our garden. We hope that this damp weather will pass so that plants may flourish once again. Meanwhile, we are trying to dry the dampness with warming, nourishing foods that still feature summer ingredients. These chia burgers fit the bill. 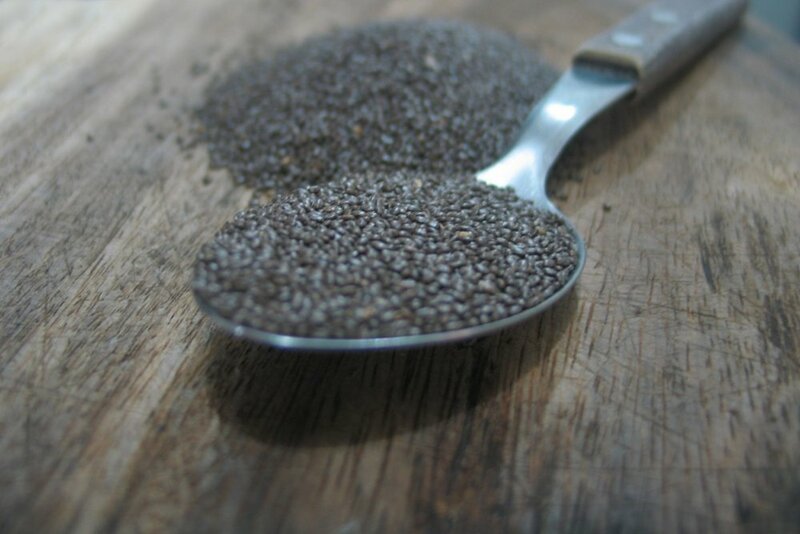 Chia, a member of the sage family, has delicious, peppery, edible seeds that are high in protein and fiber.They are a great replacement for eggs and taste delicious in sweet and savory dishes alike. Corn is a wonderful food for summer. From digestive support to blood sugar balance, it is a healing food as long as it’s not genetically modified. Ask your farmer where they get their seeds and check for the non-GMO label on corn products in the store. Corn fiber supports the growth of friendly bacteria in our large intestine. It is rich in B-complex vitamins and has about 5 grams of protein per cup. Fiber and protein make corn a great food blood sugar control. Oil a cookie sheet with olive or sunflower oil. Shape dough into patties and flatten each one onto the cookie sheet. Bake for 15 minutes, cool and enjoy. They pair well with pesto and grilled chicken or cod. Green spring tonics are a time-honored tradition to encourage gentle liver and gall bladder renewal. Leafy greens, both wild and cultivated, are some of the most nutrient dense vegetables of all, and we’ll discuss their nutrition as well as many other health benefits. This is a time when we transition from Winter hibernation to Summer growth. Because we are part of the earth and it cycles, it’s crucial to align with this seasonal change by strengthening digestion and immunity. Certain foods and culinary herbs are specifically indicated for supporting this transition. They tend to be ones that promote digestive and eliminative function, or strengthen the immune and endocrine (hormonal) systems. In Traditional Chinese Medicine, spring's flavor is sour. The sour flavor and the wood element influence the liver and gall bladder. Sour foods include vinegar, horseradish, sauerkraut (and other lacto-fermented vegetables), lemon, rye, turnips, greens, quinoa, millet, fennel, and caraway seeds. Sourness has an astringent and consolidating effect in the body. It can control diarrhea and excess perspiration or help focus a scattered mind. Sour foods will help us harmonize Spring. In India’s time-honored tradition of Ayurvedic Medicine, spring is known as the Kapha season. Kapha, the earth element, is heavy, grounded, and can feel stuck when it is out of balance. While spring waters are flowing and mud is everywhere, uplift your body, mind, and spirit, with a daily walk, deep breathing, and sour food. I was raised in the Mediterranean tradition, where we harvested dandelion greens each spring to make a bitter and delicious salad with olive oil, salt, vinegar, and grated carrots. I remember how much my grandmother loved vinegar. She dressed our salads generously with this sour liquid. 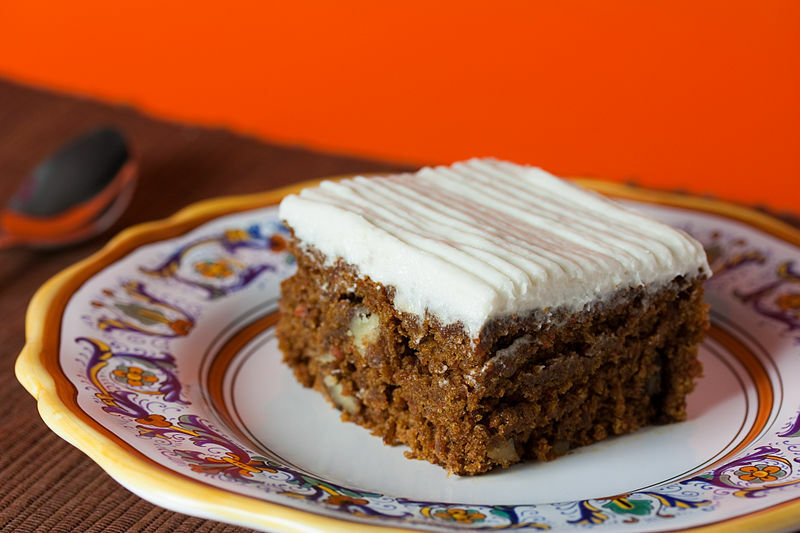 Thank goodness for the carrots to temper the sour and bitter flavors for an overall harmonious effect. Spring is wonderful time to cleanse the internal organs with delicious fruit and vegetable juices. If you do not have a juicer, just use a food processor and strain out the pulp before drinking the juice. You can keep juice in the refrigerator for up to 5 days. Enjoy! Drink a small glass of juice three times daily, from just after you wake up to times of low energy between meals. Regardless of whether or not you are able to drink fresh juice, you can lighten your diet and include more lacto-fermented vegetables, bitter greens, lemon juice, and whole grains in your meals. Instead, enjoy the fresh nourishment of fruits, vegetables, beans, lentils, nuts, and whole grains. Garnish food with high quality olive oil or flax oil and lemon juice. Use recipes from the "spring" category of this blog. Keep these on hand along with chopped carrot and celery sticks when you need a snack as you are cooking! Remember that flavor, which comes from spreads and spices, is crucial to enjoying your food. Would you like more specific guidance, meal plans, and recipes for your cleanse? Try my two-week, food-based cleanse. Here on the homestead, winter tends to find us slowing down, eating rich, nourishing foods, and enjoying a more relaxed pace. As necessary as this shift is, it can lead to a more sluggish metabolism. We like to take one day a week to enjoy this cleansing, metabolism-boosting meal plan as a way of pressing the reset button on our eating and boosting our energy. It's a great thing to try in honor of the full moon today, which is known by indigenous peoples of this land as the Wolf Moon. Howl at the moon, stimulate metabolic activity and restore your energy with these recipes. All these spices boost the metabolism, support healthy digestion, and/or ward off the cold and flu. Many of the ingredients in these recipes also support healthy metabolic activity. You can learn more by exploring the culinary pharmacy here. Combine coconut milk, water, cinnamon, cardamom and vanilla in a small saucepan and bring to a boil. Reduce to a simmer, cover, and let cook for 2 -3 minutes. Add chia seeds, almonds and blueberries and mix well. Let stand for 5 minutes before eating. Roast the cauliflower: Preheat oven to 425. 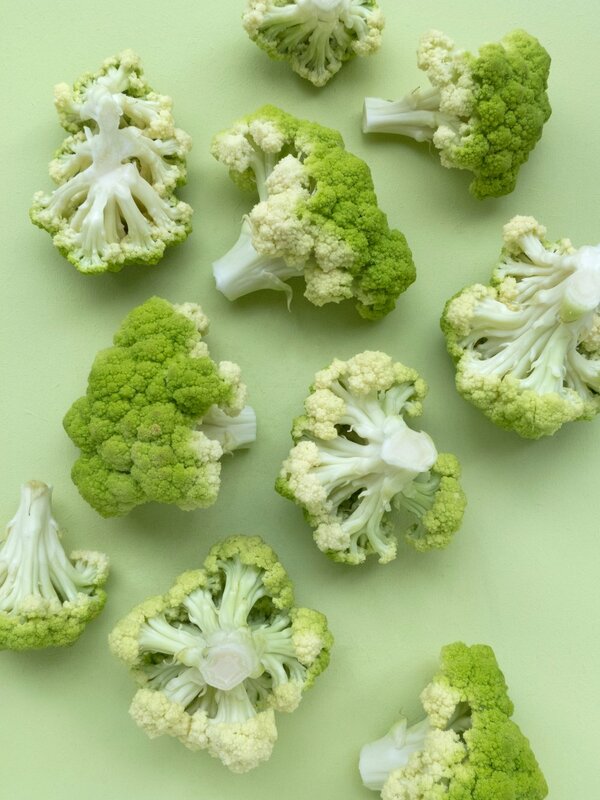 Toss the cauliflower florets with coconut oil and spices. Roast for 25 to 30 minutes on the middle rack, turning halfway, until the cauliflower is tender and golden on the edges. Cook the quinoa: In a large pot with a lid, warm the coconut oil over medium heat. Add the onion and ginger and cook about 5 minutes. Add spices and stir. Add water and quinoa. Bring the mixture to a boil, then cover and reduce heat to a simmer. Chop kale and add it to the pot. Cook for 15 minutes, then remove the pot from heat. Fluff the quinoa with a fork. Stir in the salt and vinegar. Divide the quinoa into bowls. Combine the rice and vegetable broth in a large saucepan, bring the mixture to a boil, then lower the heat to a simmer and cover for 35-40 minutes, cooking until the broth is completely absorbed. While the rice is cooking, melt the coconut oil in a large Dutch oven over medium heat and sauté the onion and celery until tender, about 8 minutes. Add in the garlic, mushrooms, sage, thyme, and salt, and sauté another 8 to 10 minutes, until the mushrooms are tender. Combine the cooked rice and mushroom mixture, and stir in the pecans. Adjust any seasoning to taste, and serve warm. 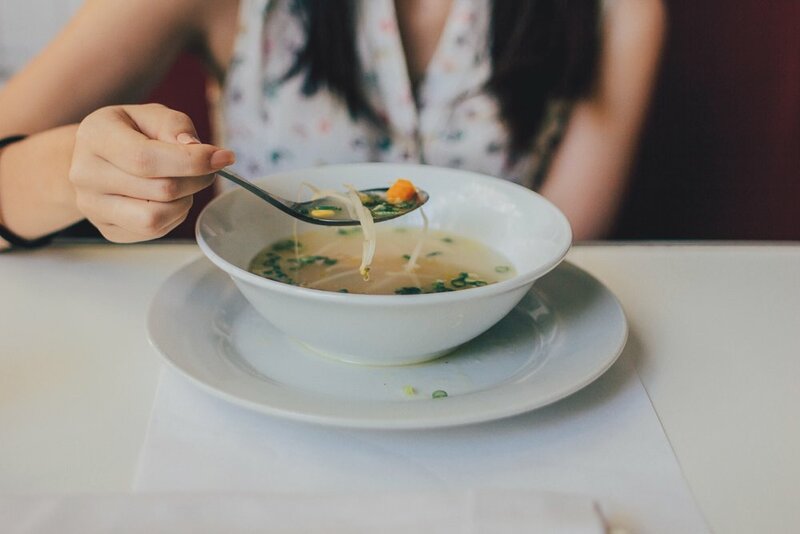 During the colder months, it's important to warm our bones with healing foods such as soups and stews. This one freezes well, so you can make a double batch to thaw and enjoy at a time when life is busy. Take a moment to slow down and breathe in the fragrance of these spices as they cook. Native to North Africa, this spice blend and concomitant stew are a wonderful way to boost your immunity and strengthen your digestion while learning about the culinary traditions of another group of people. 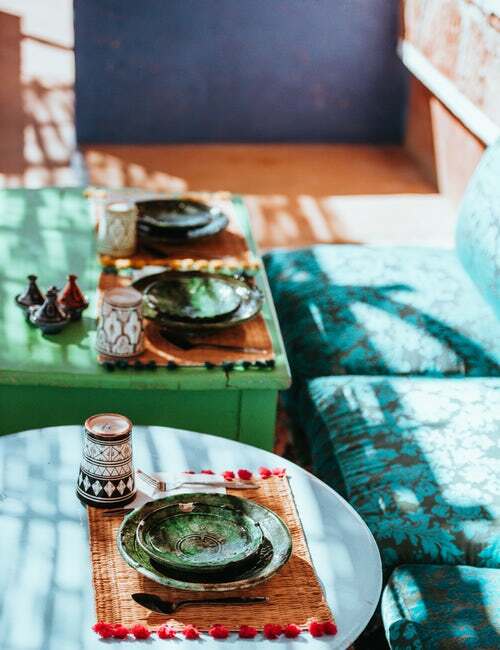 Tagine refers to the earthernware pot in which this dish is traditionally cooked. Records of this dish date back to the 9th century CE. Heat olive oil in a soup pot over medium heat until hot. Add onion and cook about 5 minutes or until beginning to brown and stick to the pan. Add garlic and cook until fragrant. Stir in 1/3 cup broth and continue to cook 4 to 5 minutes longer or until very tender. Stir in spices and tomatoes. Cook 1 minute, stirring. Add remaining vegetable broth, sweet potato, garbanzo beans, and lemon juice. Bring to a boil over medium-high heat. Reduce heat to low, cover and simmer about 20 minutes or until sweet potato is tender. Serve with buckwheat pancakes and parsley pistou if you like. Cook in an oiled skillet as you would pancakes. Serve with chickpea tagine. Blend well and enjoy with tagine or as a spread on bread. This incredibly comforting and delicious dish is akin to a Middle Eastern version of Sheperd's Pie. The spices are warming (cinnamon), digestive (coriander and black pepper), and anti-bacterial (allspice and oregano). Know that you can make it vegan by using kidney beans instead of turkey or beef and olive oil instead of butter. Prepare the sauce by chopping the onions and sautéeing then in olive oil for 5 minutes or until translucent. Add the garlic, spices and beef or turkey. At the wine and stir well with a metal spatula until meat is thoroughly cooked. Add the tomatoes, bring to a boil, reduce to simmer and simmer for 15 or 20 minutes until the sauce is reduced and thick. Meanwhile, slice the eggplant or zucchini, toss with olive oil and salt, and roast at 415 degrees for 25 minutes. Remove from oven and set aside. Boil the potatoes, drain three quarters of the boiling water, mix with nutmeg and butter and mash thoroughly with a fork or potato masher. Set aside. Reduce oven heat to 375. Oil a 9x9 baking dish or small rectangular casserole dish. Smooth the potatoes over the top. Bake at 375 for 25 minutes or until potatoes are golden. Cool for 10 minutes before slicing. Summer is a wonderful time to combine fresh ingredients and minimal cooking effort to create a delicious meal. Try these salad recipes to nourish and inspire you. Preheat oven to 375 degrees. Place walnuts on a rimmed baking sheet and toast in oven until fragrant, about 8 minutes. Let cool slightly, then coarsely chop and set aside. Bring a medium saucepan of water to a boil. Add potatoes, and cook until tender, about 10 minutes. Using a slotted spoon, transfer potatoes to a colander to drain and cool. Set aside. Return pan of water to a boil. Add green beans, and cook until tender and bright green, about 3 to 4 minutes. Using a slotted spoon, transfer to the colander with the potatoes. Whisk together vinegar, mustard and 1/2 teaspoon salt in a small bowl; season with pepper. Add oil in a slow, steady stream, whisking until emulsified. Set dressing aside. Arrange arugula, potatoes, and green beans on a platter. Season with remaining 1/2 teaspoon salt and 1/4 teaspoon pepper. Drizzle with dressing and sprinkle with toasted walnuts; toss to coat. Cook and drain the chickpeas. If cooking dried chickpeas, soak them overnight and boil them in water for 2 hours until tender. Place them in a skillet with olive oil, salt, pepper, allspice, cumin and cardamom. Saute on medium heat for 5 minutes. Chop cucumbers, tomatoes, parsley and cilantro. Wash and drain salad greens. 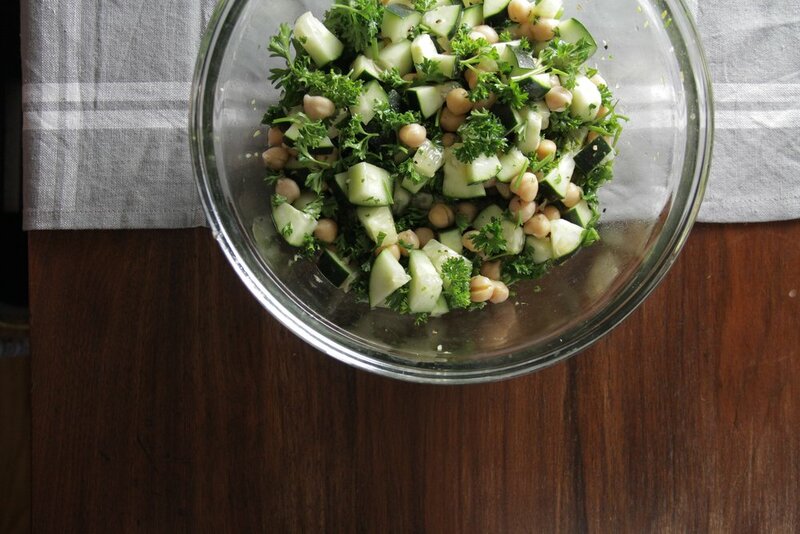 Remove chickpeas heat and place them in a serving bowl with all the other salad ingredients. Whisk together the dressing ingredients. Pour over the salad, toss well, and refrigerate to marinate for at least 1 hour. (cooling, moist), such as: unsweetened cocoa, olives, dandelion, kale, celery, and amaranth leaves. It is also important to take time to rest, sit in the shade, breathe deeply, and absorb the green color that surrounds us. –anti-bacterial, digestive, and aromatic, this member of the mint family stimulates growth of white blood cells and protects against unwanted bacterial growth. – the leaf of the coriander plant stimulates the secretion of insulin and helps lower levels of total and LDL (the "bad" cholesterol), while actually increasing levels of HDL (the "good" cholesterol). Cilantro’s volatile oils have antimicrobial properties. – purifying, anti-dandruff, digestive, and tonic, parsley is also rich in Vitamin C to decrease inflammation, beta carotene to help prevent infection and strengthen immunity, and folic acid (B vitamin) to support cardiovascular health. In a large soup pot, heat the olive oil over low heat. Add the shallots and onions. Cook, covered, until they are soft and translucent, about 10 minutes. Add zucchini and sauté for 5 more minutes. Add the chard and peas. Add the water and stock and bring to a boil. Reduce the heat and simmer, uncovered, for 15 minutes. Chop the rosemary and use as garnish. Serve with cooked quinoa. This soup is excellent chilled, too! Place basil, seeds, lemon juice, and olive oil in a food processor. Make a coarse pesto and set aside. During the fullness of life, sometimes it takes a little extra patience to relax and be present what we are doing - no distractions. Cooking provides the perfect opportunity to slow down and enjoy the moment. Try this practice as you are preparing food for your loved ones. Perhaps you want to try it while making the kasha biscuits and herbed green gravy below. Begin from the very first moment you place the water on the heat, or pour the oil in the pan. Listen to the sounds, the smells and the sensations. As you begin to cook the various foods, notice how the addition of each new ingredient affects the overall fragrance of the dish. Allow yourself to be present with the different senses, rather than being lost in thought. Each time the mind wanders, just gently bring the attention back to these sounds and smells. Try to be aware of how your mood and thinking change throughout the cooking process. Do you find the heat oppressive? Do you find yourself getting anxious trying to keep all the different things going at once, or confident and in control? Don’t try and change any of these things for now –- simply building up a picture is enough. As you observe the mind, use the physical senses as a safe place to come back to when you feel the emotions running off. For example, rather than feeling anxious about feeling anxious, come back to the smell of the food. Instead of getting increasingly frustrated at feeling frustrated, bring your attention back to the sounds of the food cooking. As you become aware of these things, notice where your mind wants to travel. Does it drift off to memories past, perhaps associating the smells with previous meals? Or does it race ahead to the future, perhaps imagining what the food is going to taste like? This doesn’t require any thinking, it is simply a matter of being aware. Being aware of the thoughts in this way will help you to get much better at the exercise, which, for most people, means enjoying a more peaceful experience in the kitchen. Place ½ cup dry kasha (toasted buckwheat groats) and 1 ½ cups water in a stock pot. Bring to a boil, reduce heat to simmer, and cook, uncovered, for 5 minutes or until kasha begins to thicken. Add 1 tablespoon olive oil and 1 teaspoon salt. Stir vigorously until grain reaches porridge-like consistency. Serve with scrambled eggs, roasted roots, or greens and beans. Place ½ cup dry kasha (buckwheat groats) and 2 cups water in a stock pot. Bring to a boil, reduce heat to simmer, and cook, uncovered, for 15 minutes or until kasha begins to thicken. Stir vigorously until grain reaches porridge-like consistency. Set aside to cool for 15 minutes. Meanwhile, preheat the oven to 375 degrees. In a bowl, mix olive oil, nutmeg, and salt. Incorporate the cooled kasha and then the lemon juice. Drop mix in heaping spoonfuls on a greased baking dish. Bake for 20 minutes, or until the edges have turned dark brown. Enjoy with butter or gravy. Heat oil over medium in a medium pot. Once hot, add the onion and cook for 6-8 minutes until softened and translucent. Stir frequently. Add the garlic, rosemary, thyme and pepper. Add the soy or Bragg’s then stir in the oat flour. Stir until a paste forms and let cook for about 1 minute. Add a few splashes of the broth. Let cook for 2 minutes then pour in the rest of the broth. Whisk until well combined. Add the kale. Bring to a boil, uncovered, stirring occasionally. Once boiling, reduce heat to simmer for about 10 minutes. Remove from the heat for about 5-8 minutes to further thicken. Stir before serving. For smooth gravy, pour into a blender and blend until fully smooth. I so appreciate all who comment on these posts and make requests for more. Your feedback lets me know that this information is useful and allows me to learn how I can best be of service to you. Based on requests, here are ideas for meals you can prepare in advance and freeze to have on hand in a pinch. Because we are pregnant, I am starting to freeze meals for the time after the birth. Whether or not you are expecting, this practice is a great way to incorporate healthy food into your diet no matter the circumstances. Holiday time often gets full, and there's not always time to cook whole grains, mineral-rich vegetables, and nourishing proteins. By preparing this dishes ahead of time and enjoying them during the holidays, you will feel better, help ward off the cold and flu, and enjoy your down time more. To start, get all the ingredients for two or three of these dishes. Have enough containers to store all the food in the freezer. Set aside two hours of time where you will not be interrupted, Invite a friend or a family member to cook with you if you like. Put on music and make it fun! When you freeze, make appropriate portions. If a meal serves four and there are two of you, split it into two containers. Fill containers three quarters full so that they have room to expand once they freeze. Once you are done, label containers with the contents and date. I like using masking tape and a permanent marker. Remember to make a list of what's in the freezer and tack it onto the fridge. This way, you will remember to eat these healthy delights! The night before you wan to eat them, remove from freezer and place in the fridge to thaw. In a soup pot, sauté onion and leek for 15 minutes on medium low heat, stirring occasionally, until they start to brown. Splash with apple cider vinegar. Add the chicken and sauté on medium high heat, stirring constantly with a metal spatula, until chicken is cooked through - about 25 minutes depending on the cut. Add the celery, carrots, garlic, ginger, and spices. Stir well. Add the chard, quinoa and water. Bring to a boil. Reduce to simmer, cook for 15 minutes, and stir in lemon juice. Cool and store in portion-sized containers. This soup is a complete meal and serves four. Place chicken in an oiled baking dish. Whisk all ingredients together. Pour over chicken. Bake skin side up 25- 30 minutes or until cooked through. Freeze with wild rice pilaf in labeled, portion-sized containers. Cook rice in 5 cups water or stock. Add a pinch of salt as rice cooks. Meanwhile, chop onion and cook in olive oil in a deep skillet. Add water to prevent sticking. Add salt, pepper, coriander and mustard. Stir well, close with a lid, and cook on medium low heat for 15 minutes, or until golden. Once rice is cooked and onion is golden, mix them together. Add peas and almonds. Stir well to incorporate. Boil the potatoes whole. Run them under cold water once they are cooked. Then, cut the potatoes into small wedges. Heat the oil in a large heavy-bottomed non-stick skillet over medium-high heat. When hot, add the potatoes and fry until they are golden brown, gently stirring often, about 10 minutes. Reduce the heat to medium and add the spices. Stir in the spinach a few handfuls at a time, until each handful is slightly wilted. Cover and simmer for about 10 minutes, stirring occasionally. Remove the lid, stir in the salt and cook for another 5 minutes or until most of the liquid from the spinach has evaporated. Serve with red lentils but freeze separately. Bring lentils to a boil with 4 cups water. Skim off any foam that rises to the top and then cook for 30 minutes, or until they are reduced to a soft paste. Meanwhile, chop onions. Heat olive oil in large skillet. Add the spices, stir and sauté on low heat for 2 minutes. Add onions, stir, and raise heat to high for 2 minutes. Add lime juice, cover and reduce heat to low. Simmer for 10 minutes. Chop greens and ginger. Add to skillet. Add water if onions are sticking to the bottom. Add the cooked red lentils and ½ cup water. Cover and cook for ½ hour more. Freeze separately from aloo saag. Reheat separately and serve together. In honor of tomorrow's full moon, which will be very close to the earth and undergoing an eclipse, I invite you to simplify your diet. Choose foods that gently cleanse the blood, like cilantro. Focus on foods that support immunity, like cinnamon and garlic. This shift, which you can make for 3 days, will set you on a good path to be well all winter long. Here is a recipe to inspire you. Click this link for a complete 3 day meal plan with recipes. I like to do this after dinner to prepare for the next day's meal. In a stockpot, place 1 cup of beans in 5 cups of boiling water; boil for 2–3 minutes, cover and set aside overnight. The next day, most of the indigestible sugars will have dissolved into the soaking water. Drain, and then rinse the beans thoroughly before cooking. Cook dry beans for 50 minutes, skimming off any foam that rises to the top. Peel the sweet potatoes and chop into bite-sized pieces. Sprinkle with spices and toss with olive oil. Roast for 10 minutes, stir, and roast for another 10-15 minutes. Meanwhile, take 1 cup quinoa, rinse it well, and cook it in 2 cups of water in a small stock pot. Bring to a boil, reduce to low, and cook, covered, for 15 minutes or until all water is consumed. Add 1/2 teaspoon of salt as it cooks. Then, pulse all the dressing ingredients in a food processor / blender until smooth. Toss the beans, quinoa, arugula, and sweet potatoes with the dressing. Enjoy! Soothing, cleansing, and delightful, this gentle soup helps to balance our springtime need for a little extra salt and liquid. It goes well with vegetarian sushi. Try it. Pour the water into a pot and bring to a boil. Turn the heat to medium-low and add the seaweed. Simmer for 10 minutes. Chop and grate vegetables and herbs. Add these to the pot and simmer for 10 more minutes. As soup simmers, spoon the miso paste into a bowl. Ladle about 1/2 cup of the hot broth into a bowl and whisk with chopsticks or a whisk to mix and melt the miso paste so that it becomes a smooth mixture. Turn the heat off, add the miso paste to the pot and stir well. Taste the soup - if it needs more flavor, whisk in another tablespoon or two of miso paste. Serve immediately.